What could make more of an impact for your Company party, Hospitality day or Brand experience, than hosting it in an impressively beautiful structure rising gracefully from the ground? The aesthetic that the Pearl Tents create instantly gives guests a sense that they have walked into something elegant, special and well thought-out and standing taller and more elegantly than other marquees, the stunning first impression they create is priceless. Our bespoke 3D CAD service allow clients to visualise exactly how their event will be laid out, and assists other post-production teams to plan installations, prop and furniture within the structures. 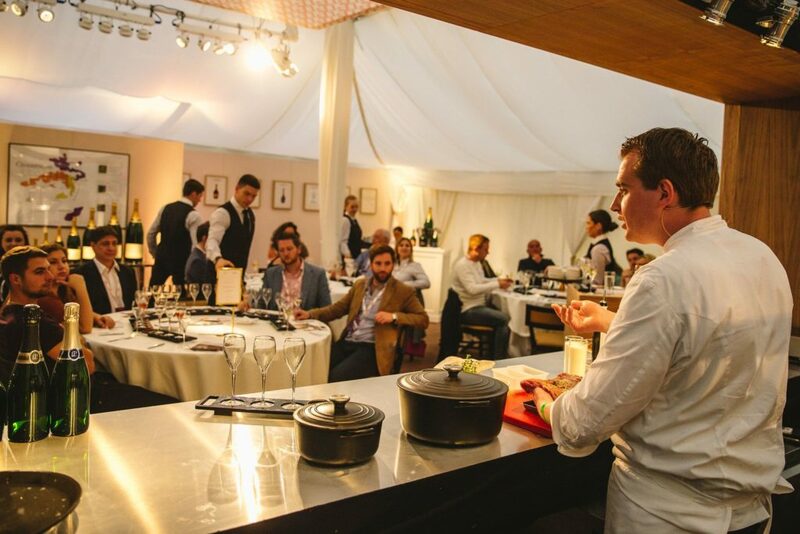 And our professional team are used to working alongside other industry suppliers at sporting events, in festival VIP areas and for private Company events. What could be more dramatic than leading guests up a lantern-lit walkway into an invitingly glowing tent flanked by flamed torches on either side, into a gracefully twinkling tent full of stylish furniture where the clink of glasses and hum of laughing voices conveys the sense that they have arrived at a five star event. Our range of in-house accessories from hurricane lanterns to Victorian wrought iron furniture and contemporary sofas has been put together to offer clients the option to be able to source all the necessary furnishings in one place, to make the planning process as easy as possible. Our professional marquee erectors are extremely knowledgeable on the structures and are used to overcoming issues encountered during event set-ups with good humour, good will and effectiveness. 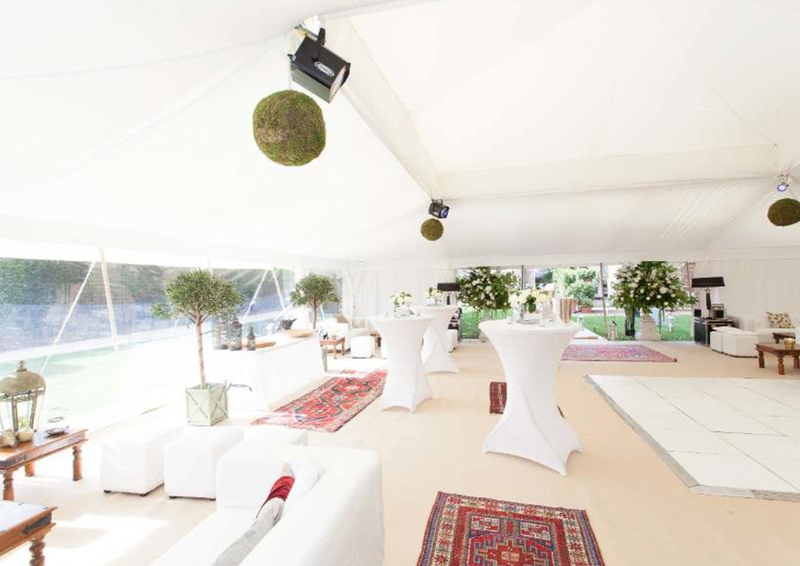 The tent will be set up several days before the big event, leaving plenty of time to add any additional styling.